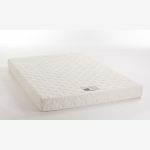 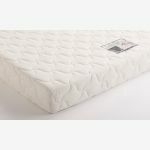 The Maxi Cool double mattress is made from the best quality foam, with a high resilience core and comfort layers on top. This is a gently supportive double mattress, designed to be no-turn, with a softly quilted cover which keeps you cool by taking away heat and moisture, thanks to a unique fibre in the mix. 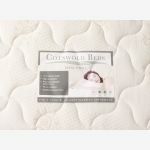 This all adds up to a comfortable night’s sleep for you, on a great value mattress made from high quality foam, with free delivery. 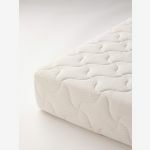 Designed to work on any bed frame of the right size, including our range of hardwood slatted beds.